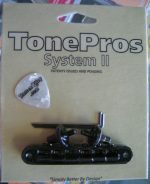 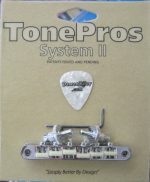 TonePros TP6R-N Standard locking Tune-O-Matic bridge with roller saddles. 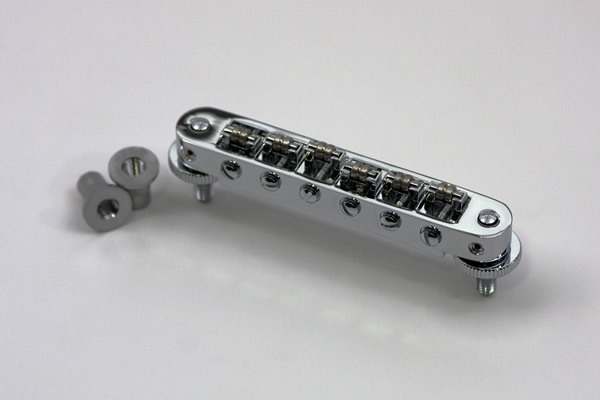 Nickel. 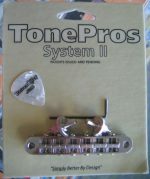 Fits USA Gibson and others. TonePros TP6R provides superior performance on all Bigsby-style tremolo equipped guitars. 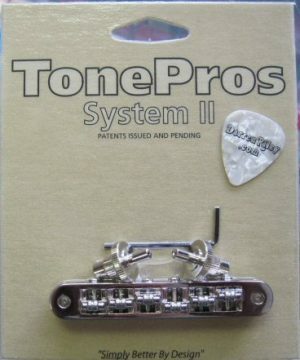 The TonePros design roller saddles are engineered to allow the strings to roll smoothly, while the TonePros patented system locks the bridge solidly in place allowing for the strings to always return exactly in tune when trem’ed. 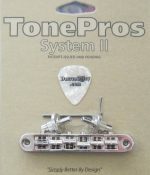 Bigsby and other tremolo users will love this TonePros product, as it will allow them to use their tremolo often without the worry of going out of tune.